Will County, Illinois Horse Directory - O Horse! 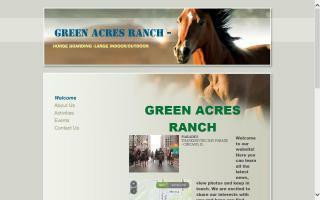 Two large horse boarding facilities with indoor/outdoor riding arenas and trails. We are a full care boarding facility. Family owned with 40+ years of experience. 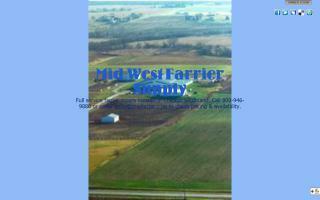 We have 2 locations available - Crete, Illinois and Dyer, Indiana. All disciplines are welcome. We have many activities, such as trails rides, lessons, pony parties, pony cart riding, horseback riding, hay rides, drill team, etc. for most ages. Help with your horse also available: lunging, bathing, loading, grooming, and riding. The horses are fed well twice a day - grain & hay. Stalls are nice and clean. Large indoor riding arena, new sand, outdoor riding arena, round pen, free trailer parking, heated tack room, free turn outs (weather permitting), and much more. To schedule horse-back riding lessons, trail rides, or hay rides, call 219-776-8787. Oak Hill Farm is a privately owned 85 acre, full service, dressage training and stabling facility located in Lockport, IL. We are located approx. 40 miles SW of Chicago, just off I-355 and Route 171 (Archer Avenue). We offer private paddock and pasture turn-out, an equine exerciser / free walker for 4 horses at a time, a standard size indoor arena, and a standard size outdoor arena as well as trails on premises. Daily stall cleaning and turn out are included in the monthly boarding fee. We feature dressage clinics with USA Equestrian Todd Flettrich. Our resident head trainer is Amy Lewis. Located at the corner of Steger Rd. & Torrence Ave. in Crete, Illinois, just minutes from the Indiana border, and one mile east from I-394. 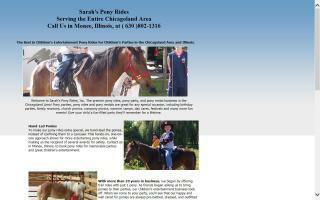 Sarah's Pony Parties / Illinois Horse Transportation Inc.
Illinois Horse Transportation Inc. specializes in personal care for your horse. We are commercially insured, reliable, have newer equipment, and legal, and safety is our number one goal. Call Sarah @ 630-802-1316 or ILHorseTransport@aol.com. 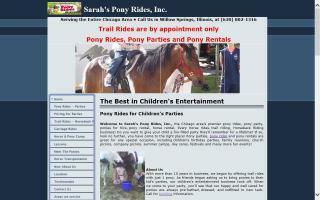 We bring ponies to you for any occasion large or small and to any location throughout the entire Chicagoland area. Please call us at 630-802-1316.